Contact: www.FreeOhioMovement.org and 330-366-6838. .
Jason Robb and Siddique Abdullah Hasan began refusing food on Monday February 27th to protest a 90 day restriction on their access to phone, email and video visit communication. Ohio State Penitentiary issued this restriction to silence and prevent them from pleading their innocence to the public. Both Hasan and Robb appeared on video in a recent episode of the Netflix documentary series, Captives. The Captives documentary told the story of the Lucasville Uprising and hostage situation. The film-makers intended an unbiased 360 degree view of the uprising and hostage situation, but their final product consisted almost entirely of interviews with then Warden Arthur Tate, multiple guards, and state-cooperating prisoners. It gave far more screen time to the state’s side of the story, yet the injustice, negligence, dishonesty and hypocrisy of the state’s conduct during the uprising became abundantly clear even from their own words. Hasan and Jason’s interviews were given a few scant minutes of screen time, for which the Ohio prison system is currently punishing and censoring them, because its position on the uprising, and on their guilt depends greatly on restricting their speech, controlling the narrative, and keeping the public ignorant. 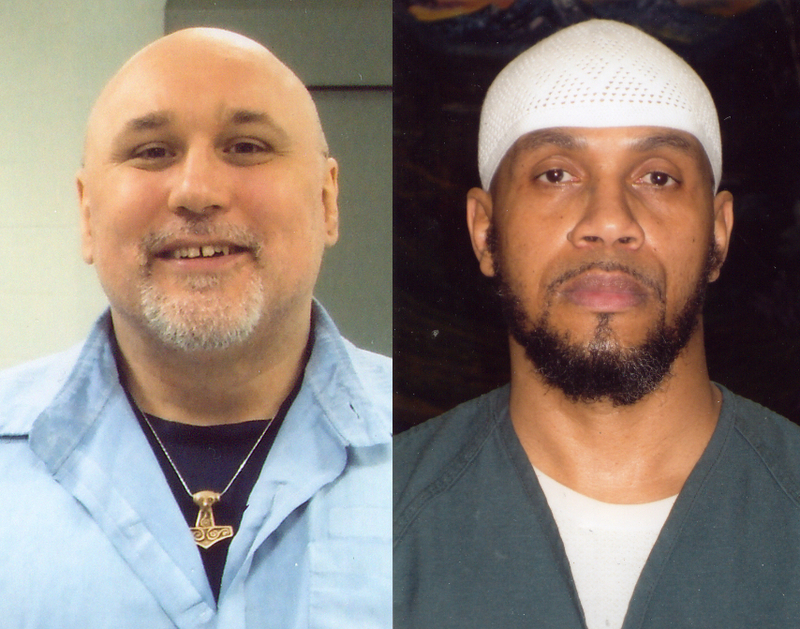 Hasan and Robb are two of many plaintiffs in a lawsuit against the Ohio Department of Rehabilitation and Corrections (ODRC) for restricting media requests to uprising prisoners. They have been condemned to death and held in solitary confinement since the uprising in 1993. Their actual participation in the uprising was to negotiate a peaceful surrender and prevent greater loss of life. The ODRC and State of Ohio promised not to go after specific individuals in the negotiation of that surrender, and then immediately targeted the negotiators, painting them as leaders and orchestrators of a spontaneous riot that, without their intervention and cooperation across race and gang lines, could easily have escalated. Please contact Warden Ed Sheldon and demand that he rescind the communication restriction for Jason Robb and Siddique Abdullah Hasan. Please also write letters of support to Jason and Hasan. Getting mail boosts their spirits, and prevents staff from retaliating against them. Also please contact: www.FreeOhioMovement.org and 330-366-6838. This entry was posted on March 8, 2017 at 11:29 pm and is filed under Uncategorized. You can follow any responses to this entry through the RSS 2.0 feed. You can leave a response, or trackback from your own site.